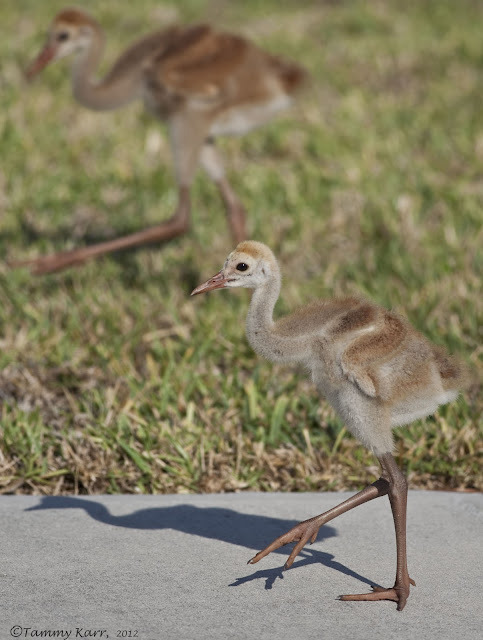 I've been keeping an eye out for the new Sandhill Crane family since spotting them two weeks ago. Saturday I came across them as I passed through a nearby neighborhood. The chicks, of course, have grown tremendously in just 2 weeks. This one seemed to be aware of the appropriate place to walk as it meandered down the sidewalk. I was rather amused to see one of the adults take a detour through a yard to cool off in someone's sprinkler. The rest of the family followed suit. It was quite warm last weekend. I've noticed the Osprey, the one who built the nest in my neighbor's tree, appears to have attracted a mate; way to go! Sunday night, though, some sort of melee broke out when a third Osprey decided to try and get in on the mix. The sun had already set and the residual light didn't work in favor of capturing any decent photos. This Red-bellied Woodpecker was pulling some unidentifiable matter from the palm tree in my yard. We did manage a short trip to the park to help my son expend some energy. I was happy to notice that we were not alone as three Semipalmated Plover had stopped by the river's edge to forage. "Purple" bird sightings seem to be the theme over the past few weeks . It started with this Purple Gallinule I spotted at the wetlands a week ago. A few other observers I spoke to relayed that there were two in the area and that the Gallinules appeared to be collecting nesting materials. Purple Gallinule babies would be cool to see! I've only seen this species here on one other occasion. 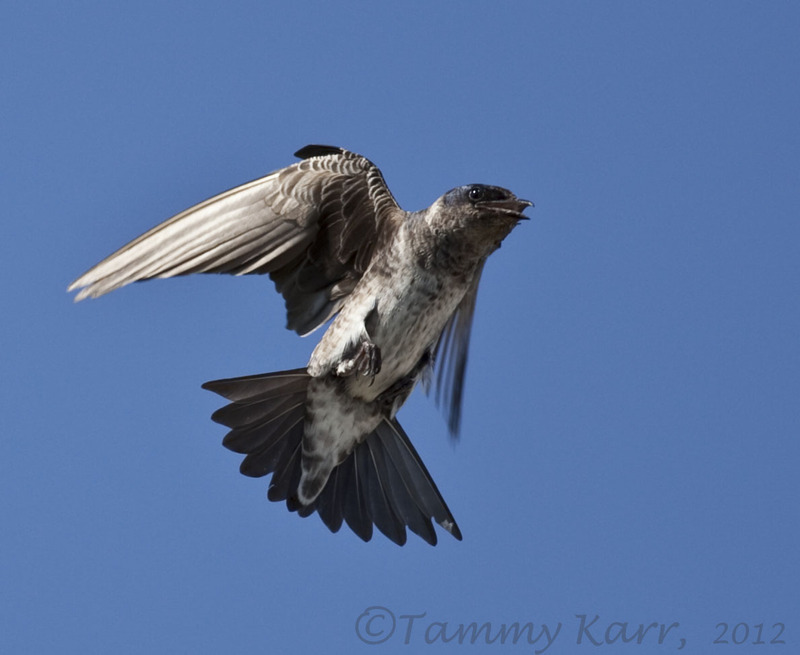 Today, I came across a small, but noisy flock of Purple Martins. They are not quite as "purple" as the Gallinule, but they were interesting to watch. I noted at least 8 females and 2 males. 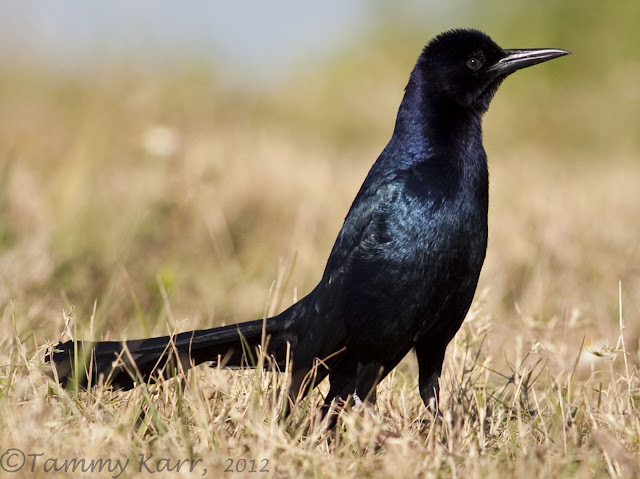 Even though its name doesn't contain the word purple, this Boat-Tailed Grackle was looking quite dapper showing off its iridescent purple and blue in the sun. Another great set there Tammy. Your photographic skills are certainly flying in the right direction, super shots. Thanks so much for your kind words Marc! A great post Tammy. I especially love the adult Sandhill cooling off in the sprinkler, too cute! Thank you Mia! I though that was funny too! 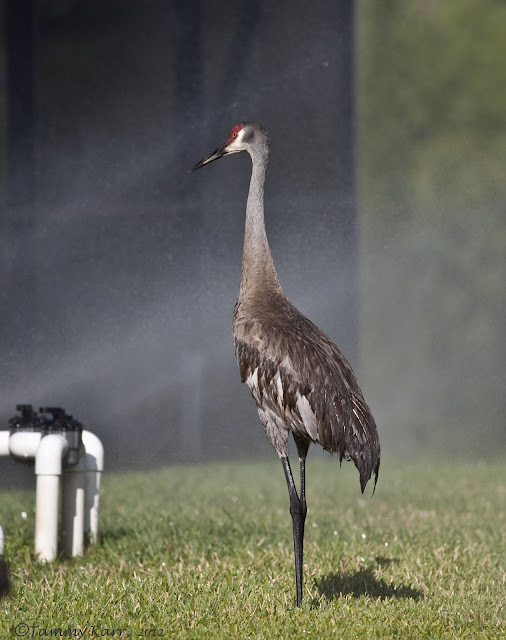 The crane headed straight for the sprinkler the moment he saw it. Amazing photos....Great work Tammy..I wish you a nice weekend..
Buenos disparos , bonitas imágenes. 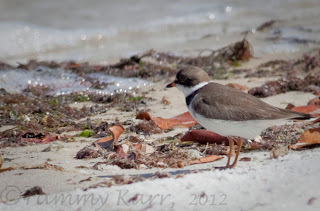 Another great collection of "Florida-birds". The osprey-landing is beautiful, as you know, I like birds of prey very much. The Purple Gallinule is also a great action shot, - well done again Tammy ! Hi Lorents, thanks so much for your kind comments! Birds of prey are favorites of mine as well! oops - you meant to tag that one shot as a purple martin. 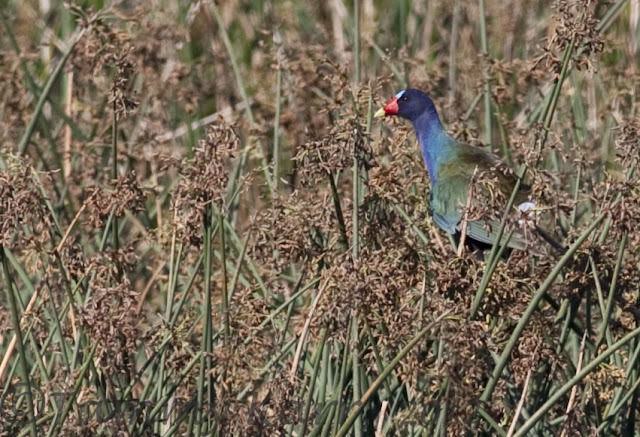 have been fortunate to see one purple gallinule here at our pond - years ago. strange birds! Thank you for catching that!!! LOL! The crane colts cracked me up! Cute little things! Love the osprey, but anything raptors is my favorite. Your martin flight shot is gorgeous! Great variety! Thanks for your comments Brian! The adult cracked me up; I don't think that was the first time it hijacked a sprinkler. They are all good shots but the osprey and purple martin shots are fantastic! 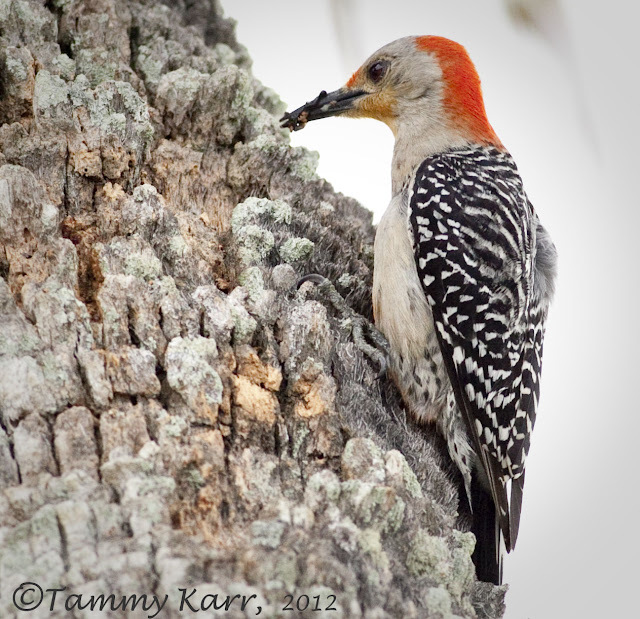 I love your pics Tammy, the woodpecker is spot on. It amazes that the Cranes wander round the street of various neighbourhoods. We first came across this in Kissimmee. Thank you Gordon! The Cranes don't seem to mind much. Unfortunately, they are always walking out into traffic, which is not the best idea around here! I am really impressed by the Martin in flight... What a shot! I don't have time to comment on every pic but they are stunning and of interest! Too bad the sun was down for the 3 Ospreys! The chicks walking and the osprey landing, the red bellied woodpecker are the best!! you can capture such moments, that really give the sense of movement. I wish you a pleasant weekend, and yes I think 2 weeks will pass through quickly!! Thank you very much! I hope you have a wonderful weekend as well. Wonderful images Tammy the flight shots are stunning. Love all the purple flying around here, Tammy. 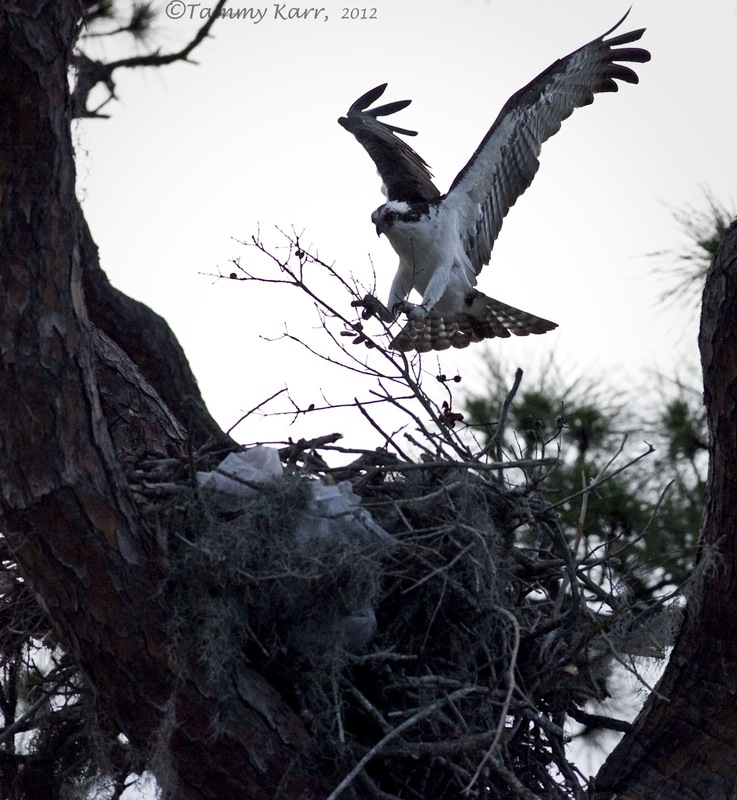 Magnificent capture of the Osprey in flight over the nest. Purple birds are awesome, though not as awesome as Sandhill Cranes playing in the sprinklers! Absolutely stunning bird serie. The first picture so qote and the cooling of cran, nice capture. But most i lke the osprey, great shot! Hi Tammy!! beautiful photos! I missed following your blog, I was in europe for two weeks and have just returned. The trip was great, we took one day to take the train to The Camargue, a wetland area where wild Flamingo's breed - it was stunning! Hi Rachelle, glad your back; thanks for stopping by! Your trip sounds AMAZING! I look very forward to seeing your photos! Amazing set of images,fantastic as always. Beautiful photo`s of this birds. Fantastic photos as always Tammy. Love to see your beautiful Florida birds. Klasse Bilder das letzte Bild ist spitze. Forget the rest of those photos, that osprey is simply amazing. You have captured it amazingly well. Thanks Shaun! The lighting could have been quite a bit better, haha!! Beautiful images, they all have it together. Nice shot on the osprey landing. I think the lighting is good for this shot. We all know that we have to play by the bird rules, or we're not playing at all. It seems to me you have spending a lot of time outdoor for these birds shot, I'm wondering what equipment you are using on the bird shot?